A collection of Life's moments: Movies That Inspired Me !! The theme in this week's Fit Dish Link Up (hosted by Jill and Jessica) is to talk about the movies that have inspired me . For a movie buff like me, this is one perfect topic. There are several movies that have inspired me to take up running. It shows the challenges they faced and the how they faced these un-ending challenges relentlessly. Many of these movies can help change your mindset and inspire people to do wonderful things. 1) Spirit of the Marathon : This was one of the first movies that got me interested in running. The challenges faced by the five runners in the movie, their training and all the other aspects totally moved me and inspired me to give a try on running and add running a marathon on my bucket list. 2) G.I. Jane : I loved this movie so much that i guess i have watched it several times. My earlier notion of cardio is enough for weight loss was proved wrong after watching this movie. I am impressed by how they help making us understand that fitness is getting strong everyday that helps push past your own limits. 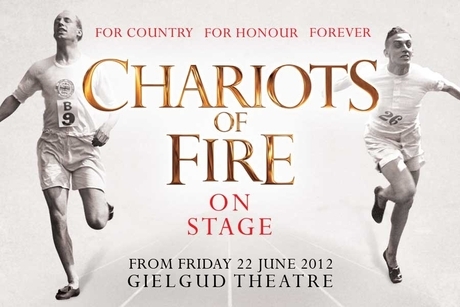 3) Chariots of Fire : I totally love the inspiration that comes from that movie. It has awesome music but the most intersting part is that it's based on a true story. Loved Spirit of the Marathon and Chariots of Fire is one of my husband's favorite movies. Great choices for motivation!